Few hours ago, Lagos State Governor Akinwunmi Ambode, conceded defeat and congratulated Babajide Sanwo-Olu on his victory at the just-concluded Lagos State governorship primary. Sanwo-Olu who was endorsed by the All Progressives Congress (APC) national leader, polled 970,851 votes ahead of the governor who secured 72,901 votes. He also promised to ensure a smooth transition. 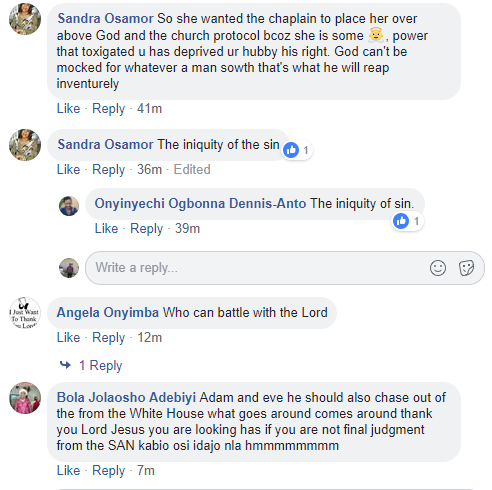 Now, Nigerians have recalled and reacted to the alleged incident which happened in 2017 after Ambode's wife was accused of instigating her husband to fire Presiding Chaplain of the Chapel of Christ the Light, Alausa, Lagos, after purportedly being ignored during church service. 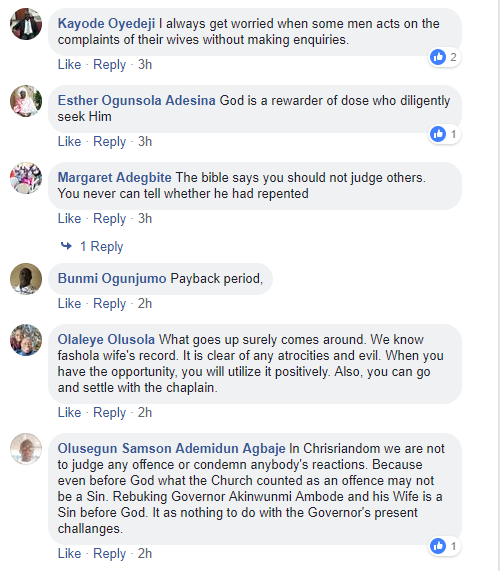 The Chaplain, Femi Taiwo who was removed from his post allegedly on the orders of Governor Akinwunmi Ambode after it was alleged that his wife, waited endlessly as she joined a queue to be anointed without any preference accorded her; and that she left the church in anger after been anointed. 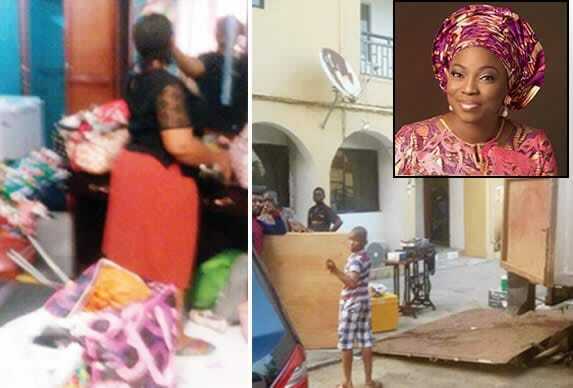 Chaplain Taiwo and his family were thrown out of the chapel without mercy within 24 hours after the incident, sparking outrage among Nigerians. 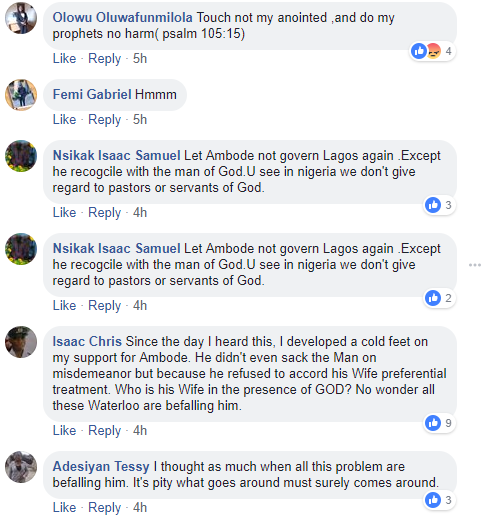 According to some people, this has been highlighted as one of the merciless sins of Governor Akinwunmi Ambode.